It isn't Easter until tomorrow but I've had a kitchen full of chocolate Easter Eggs for a couple of weeks now; I haven't known where to keep them. They have so many each that it's been impossible to hide them. They are off school for two weeks so rather than making the kids wait until tomorrow to start opening them I've been letting them have their Easter Eggs as an afternoon treat since the 1st day of Easter Holidays. 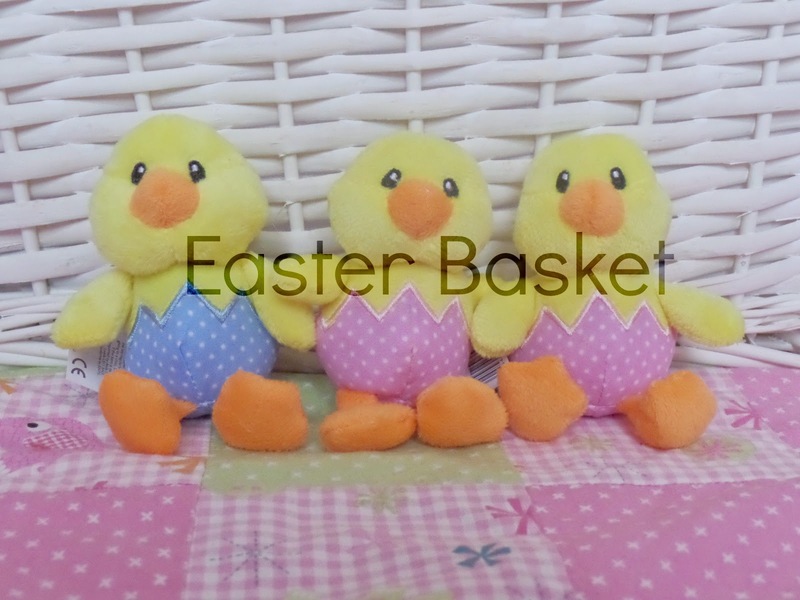 We don't do the Easter Bunny thing in our house, neither me or Mark we're brought up to believe an Easter Bunny delivered our Easter Eggs...I always told my parents which one I wanted (usually one that would come with a mug) so it isn't something that we started doing with our kids. 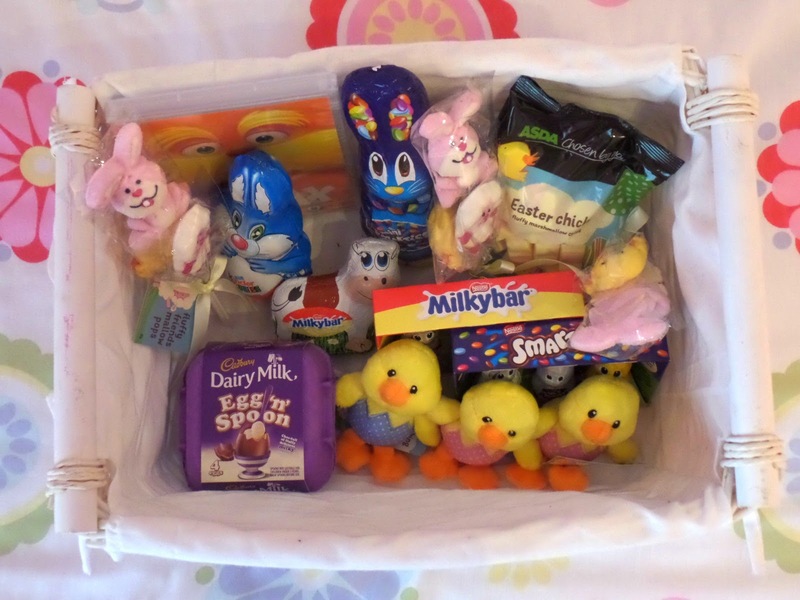 If you followed our blog around Christmas time you may remember that I put together a Christmas Eve basket for the kids filled with a few bits and treats; I had put the basket away safely to use next Christmas but decided the other week that instead of buying the kids Easter Eggs I would re-use the white basket and fill it with a few Easter treats for them. I haven't gone OTT as they already have a ton of chocolate to much their way through. I'm going to give it to them tonight after dinner as I am working tomorrow. 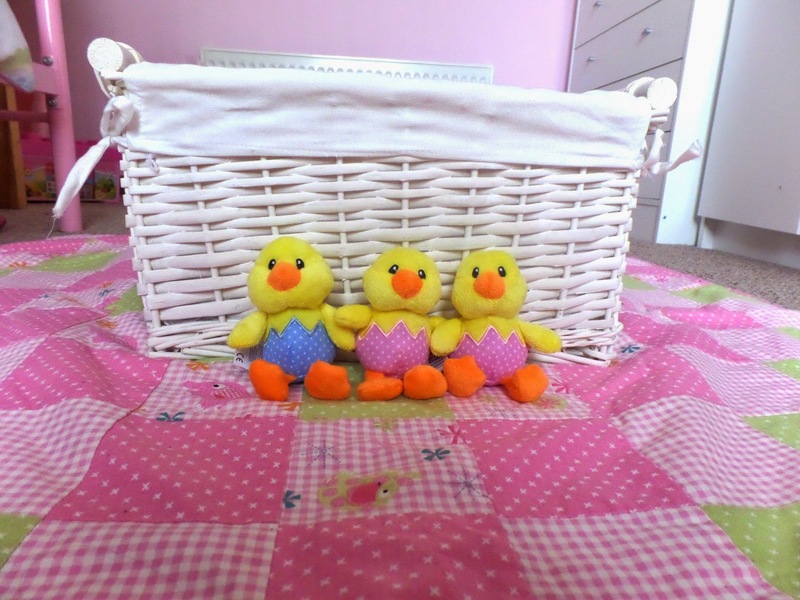 This is just a little post to share what we got, I hope the kids enjoy it - I do quite enjoy finding little bits to include in the basket for them.